You are probably not too familiar with Chad Finchum. 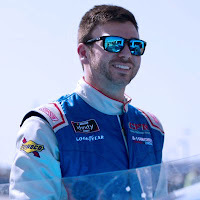 He is a NASCAR driver, who after six years of part-time K&N Pro Series East experience, is attempting his first full-time ride in the NASCAR Xfinity Series, driving the No. 40 car for MBM Motorsports. 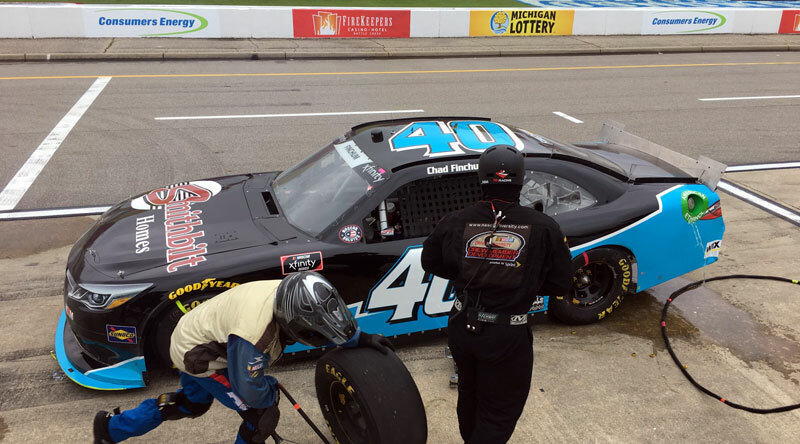 Last weekend, Finchum competed in the ‘LTi Printing 250’ at Michigan International Speedway over the weekend in his MB Motorsports No. 40 Smithbilt Homes Toyota Camry. 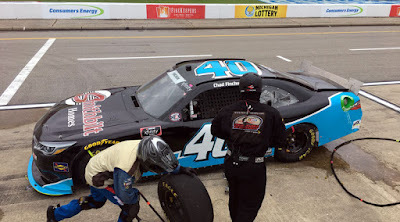 It was a tumultuous start to Finchum's debut weekend at the facility with the team losing an engine in practice and then qualifying being rained out and set by points. With a new crew chief, Chad started thirty-sixth on the grid for the event. Throughout the race Finchum made gains and raced to as high as the 24th position before ultimately being credited with a 29th-place finish in the rain-shortened event. It marked the first time in Xfinity competition Finchum took the Checkered on the lead lap. "Wow, what a weekend for our team," Finchum exclaimed. "With qualifying being rained out, engine issues, a new crew chief, and a new track for me, we had no shortage of challenges in front of us this weekend. We gambled on a pit stop trying to beat the rain while running 24th, and it bit us a bit, but it was still a really good event or us." You can catch Chad and the NASCAR Xfinity Series next Sunday at Iowa Speedway. Qualifying is scheduled for 2:35 p.m. ET with NASCAR Xfinity Series ‘Iowa 250 presented by Enogen’ booked to take the green flag at 5:00 p.m. ET.